Thanks to some new software you may very well be able to access the information on your phone without a restore. Maybe you simply forgot your iPhone password since it hasn’t been used for a while. Perhaps you entered it wrong too many times and now see the message that asks you to wait one million or more minutes before trying again. Either way there is a good chance that you can get back into your iPhone today. You will need to download the required files, read the rest of this page and watch the instructional video in order to avoid damage to your device. Never interrupt iPhone jailbreaks or restores by unplugging your device as you can brick your phone. Disclaimer: Using any of the procedures on iPassword Help can potentially cause harm to your device. Do so at your own risk. Any deviation from the proper execution of the software described on this site is likely to cause unexpected problems. If you are not good at following instructions consider contacting a professional. iPassword Help is not responsible for any damages which may be caused by failing to follow the directions here or otherwise. Nowadays cell phones are indispensable. If you found this page then you are probably in the same situation that I recently found myself in. I forgot my iPhone password and desperately needed to find it. Apple security is designed to keep people from getting into your phone without authorization so my options were limited. I only had a few attempts before I would be locked out forever. If you have an iPhone then you already know that each time you enter the password incorrectly you will have to wait longer before making another attempt. Eventually you run into a message that says “iPhone disabled” which requires you to restore your iPhone to factory settings and lose all of your valuable data. If you recently backed up your phone then you will be able to get some of your data back but not all of it. If you are like me then you don’t want iTunes storing all of your personal information and need a solution to get past your password lock. Without a restore iPassword Help can help you get back into your phone. The methods described on iPassword Help will allow you to read the pass code on your iPhone 4 or 3gs. Thanks to some very clever developers there is now a solution for those who forgot their iPhone password. Even if you have made too many attempts and are seeing the “iPhone disabled connect to iTunes” message you might still be able to remove your password and get your phone up and running without losing any information. So how can you figure out your password? It’s not as hard as you might think and requires just a few things. First of all you will need to have access to a computer running Windows 7. You will need to download the 5.0.1 I.P.S.W., RedSn0w, and the Gecko Toolkit from here. I have not tried this using a Mac which can dual boot to Windows 7 but theoretically it should work. You will of course need a data cable to connect your iPhone to the computer. That’s just about it. Besides that and a little bit of patience and you will be good to go. Just follow the directions and in about twenty minutes you should have your password. I forgot my iPhone password on my 3G, will this work for me? Not exactly but you still have a few options. Unfortunately the 3G does not support software version 5.0 or higher so the exploit used to crack the iPhone password does not apply. The good news is that you can use the software found on iPassword Help to give yourself unlimited password attempts. Once you reach the “iPhone disabled” message you can remove the error code and start trying passwords again. Hopefully with enough tries you will eventually remember your password. If not then I’m afraid you are out of luck for now. You can always perform a full restore but without some serious FBI level forensic equipment there will be no way to get your information back. For the record we are looking into this so if you really need to get into your 3G set it aside and don’t enter new data into it or you might overwrite memory that may be recoverable in the future. If you have recently attempted to upgrade your iPhone software you might have encountered the recovery mode error. In this situation your iPhone will not upgrade properly and instead shows the connect to iTunes symbol. iPassword Help has your back. There is a tool that can often solve this problem and it is very easy to use. On the downloads page you can find a link to Tiny Umbrella. This is an amazing tool that offers several custom iPhone options. Many of these are above entry level difficulty but there is one very helpful tool that is easy to use. It is located at the top left hand of the screen and forces the phone out of recovery mode. It can also put the phone into recovery mode and requires little more than a quick download and installation to use it. If you are stuck in recovery mode you should definitely check out Tiny Umbrella on the download page. If you forgot your iPhone password then hopefully you found this page useful. iPassword Help can help you with several different devices. Any reference to “iPhone” on iPassword Help also applies to the iPad 1 and iPod touch 2nd-3rd generation devices. Gecko will allow you to recover your forgotten password from all three of these devices. Information regarding software downloads and the video tutorial can always be found here. In order to run Gecko you will need to use a computer running Windows 7. You cannot recover your iPhone password with any other operating system. Make sure to download the appropriate 5.0.1 IPSW for your device as well as the latest version of RedSn0w. I have found that my computer must be restarted in between each use of the Gecko Toolkit. 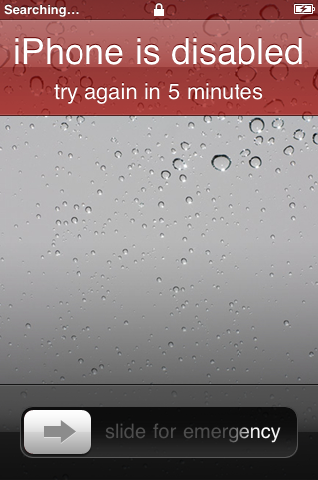 In other words each time that you attempt to recover your iPhone password you must reboot and execute the program again. Begin with your device plugged into the computer and open the Gecko Toolkit. From the drop down menu select your device and click the “Boot” button. This will cause RedSn0w to open automatically. It will then prompt you to put your phone into DFU mode. There is often a lag between the time that it takes for your computer to recognize the device and the time that Gecko sees it. If you see an error that says you misunderstood the directions you may still be able to complete the procedure by clicking the forward arrow in the toolkit. 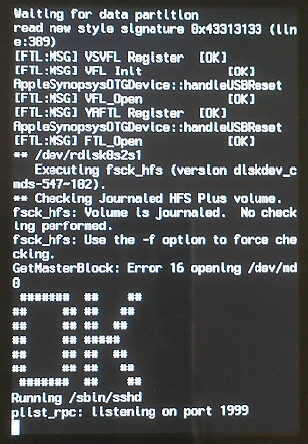 Once the device is recognized by RedSn0w you can let that program run its course until “OK” appears on your device screen. At this point simply click on cancel in RedSn0w and the “Launch” button for Gecko. This will begin the password recovery process and you will need to wait until it has completed. Your password will appear inside of the Gecko dialogue when the process has been finished. Now you can reboot your device by holding the power and home buttons simultaneously until the screen goes black. Next, release both buttons and then power up your device as usual. This time you can enter your recovered pass code. I have noticed that Gecko is very particular about the way you follow the instructions for recovering your iPhone password. Those of us who are familiar with RedSn0w have used short cuts in the past like putting our phone into DFU mode before opening the RedSn0w program. In a way this can work but you will need to change the order of things a bit to do so. Gecko cannot properly launch RedSn0w if a DFU enabled device is connected to your PC. If you choose to do it this way you must connect to your computer after RedSn0w has launched. Gecko will not read pass codes that contain anything other than four numeric digits. If you have set up a password that uses letters then you are out of luck. Then again so would anyone trying to access your password. All the more reason to use a more complex code. According to the developer, simply adding a letter to your password would make a brute force attack so difficult that you might be years older by the time that your pass code can be read. So if you forgot your iPhone password with a more complex code you would most likely have to restore your device and lose valuable information. If you have found the information on iPassword Help helpful, don’t hesitate to share it. Download information on iPassword Help will be updated as sources become available. I forgot my iPhone 4 password and that’s what made me decide to create the iPassword Help site. Is there’re some sort of tech support to call to unlock? I’m obviously not to technical savvy. Would recovering the passcode affect the iphone?? I have an older iPhone 2G with iOS 3.1.2 and i really cant lose any photos on it, i really want to get the data from it, but it never been synched to any computer, so i can’t just plug it in and get the pictures…. any help? Since its jailbroken you may be in luck. If I remember correctly ifunbox should allow you to delete the keychain file and remove your password. If I can find an older iPhone I’ll make a video. Be careful though. Altering the wrong files can potentially brick your device. do u have software for iphone 5 or 5s ?